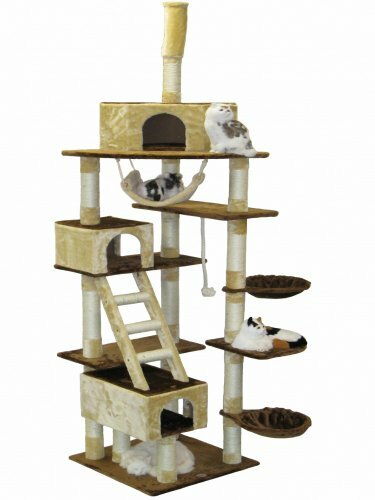 Are you looking for a “Go Pet Club Cat Tree”? 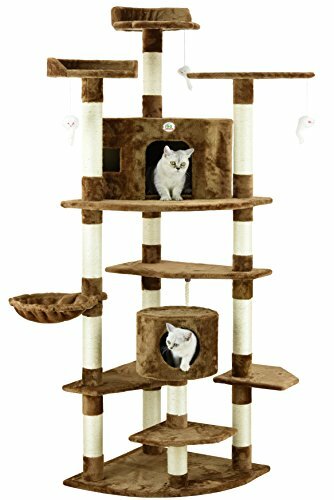 If so, you are like the millions of others who have figured out that these cat trees are a GREAT value for the price. 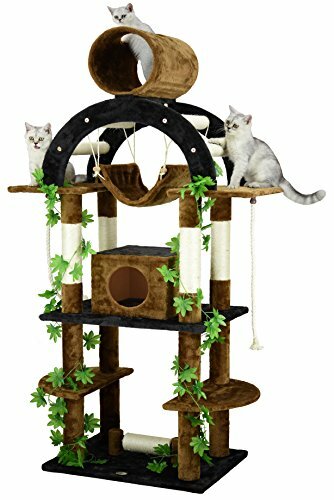 In fact, I never thought I’d be recommending or selling any ready-made cat trees from this site when I started it. The quality ones I could feel good about promoting were so expensive it was silly and the rest were just junk. In a hurry? Not to worry. 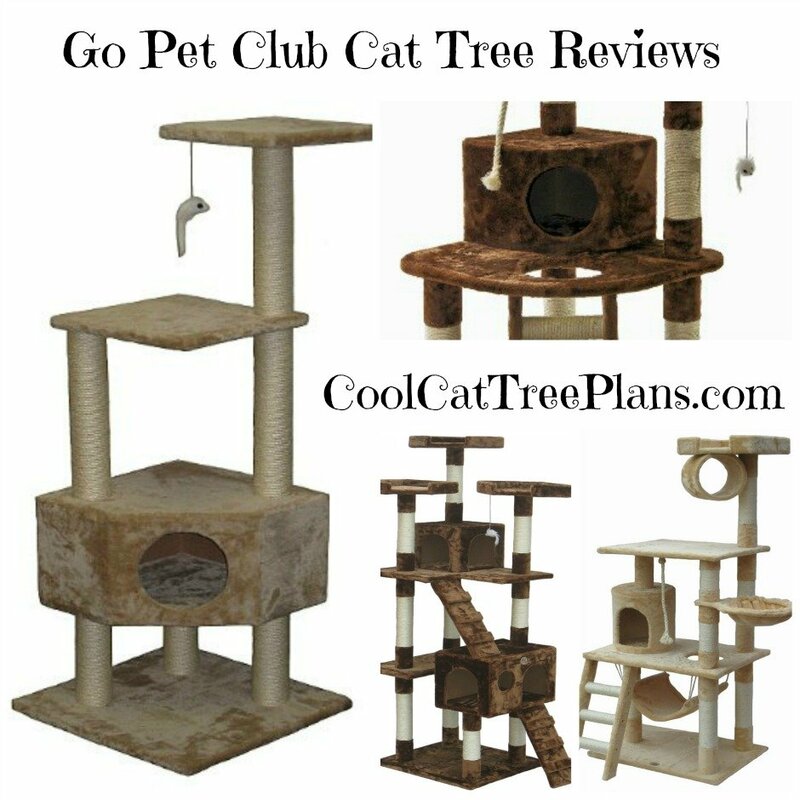 ✔️ Check Out All The BEST Selling & Top Reviewed Go Pet Club Cat Trees Right Here! 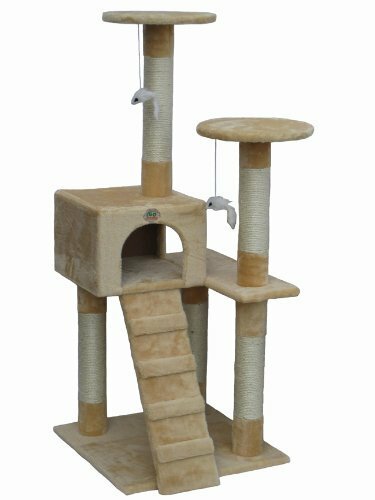 But now, thanks to Go Pet club, you can get an inexpensive, good quality cat tree sent right to your door. And with free shipping to boot! 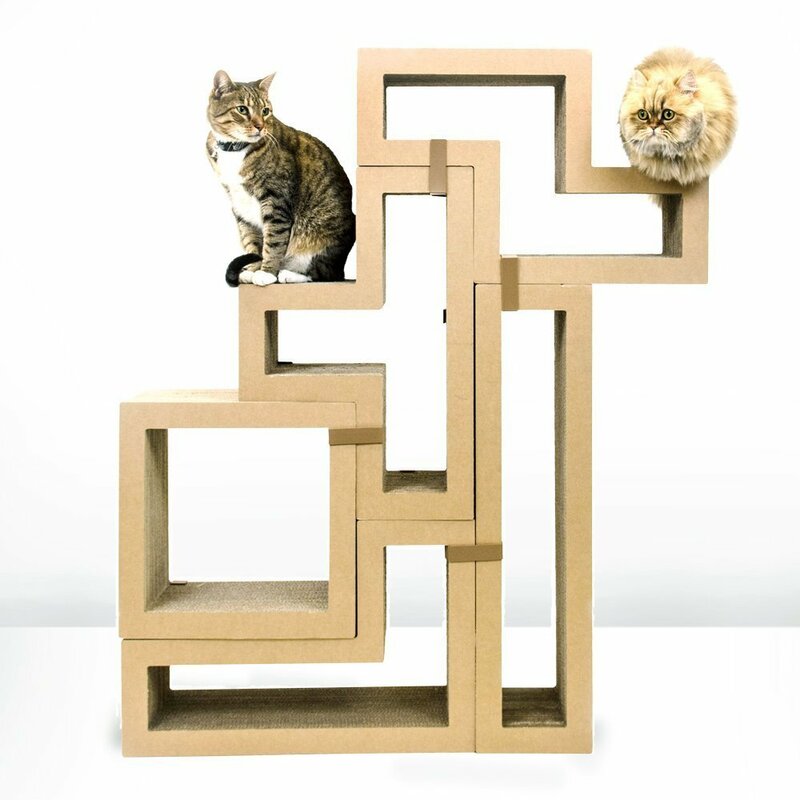 Honestly, I only recommend folks make their own cat tree these days when they have special requirements, want an artistic cat tree (those are still very expensive) or just plain like making stuff like this. 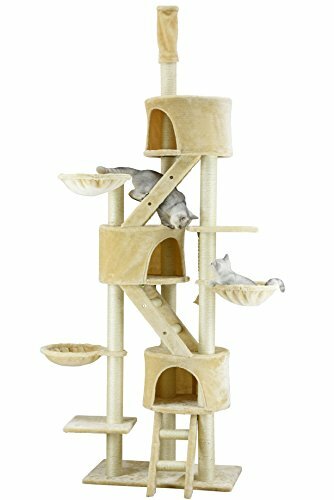 So sit back and grab a cuppa your favorite sippin stuff and take a look at these amazing cat trees. 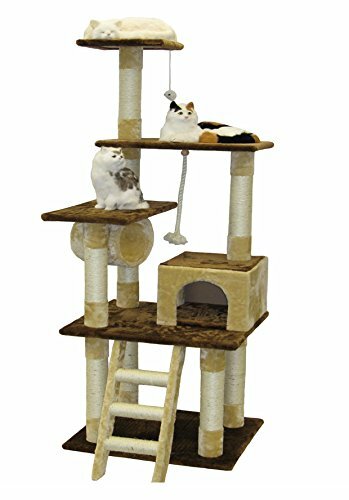 This model is made from processed wood and is covered in faux plush that is soft for kitties yet easy to clean. A nice thing about plush vs carpet is that it’s much easier to replace if it becomes warn. The posts are wrapped in natural sisal. 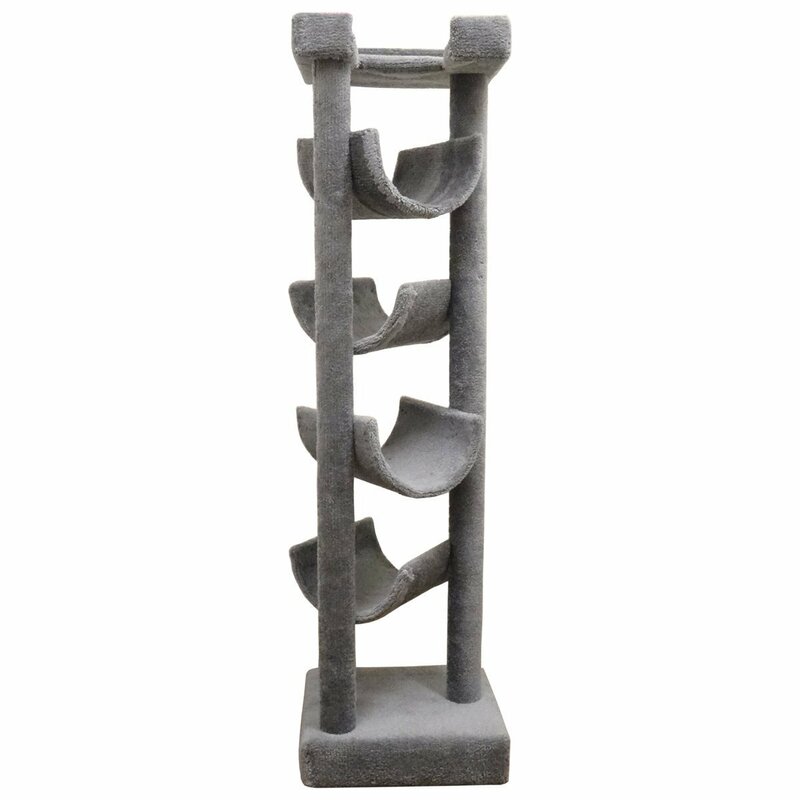 Assembly is VERY EASY using the included instructions and tools. 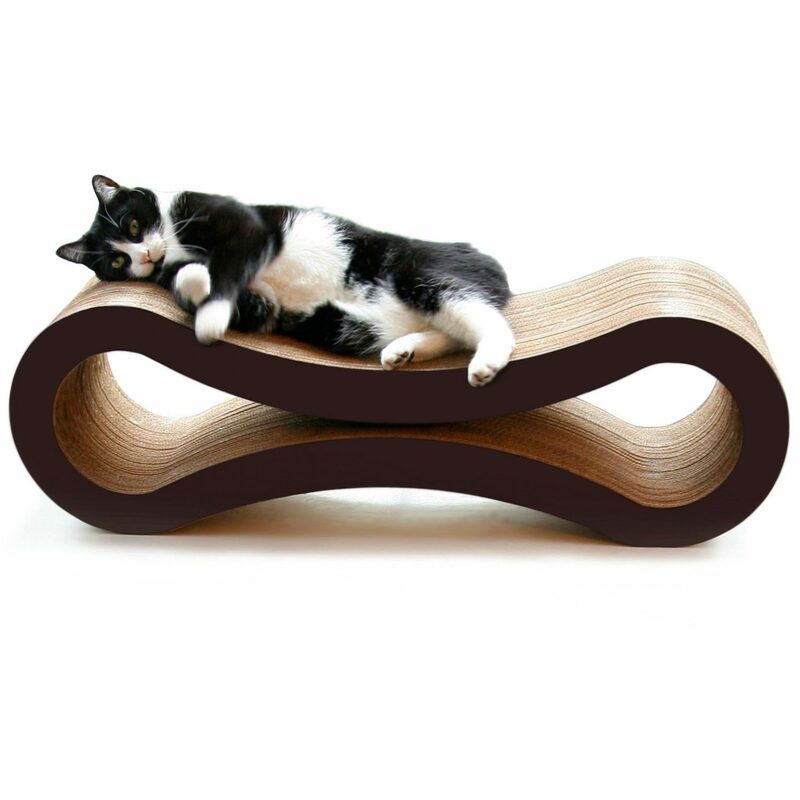 And did I mention the FREE SHIPPING? 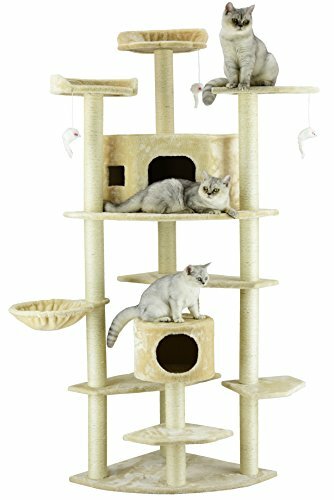 This is a best selling cat tree on Amazon and you’ll see why once you take a close look at this beauty. 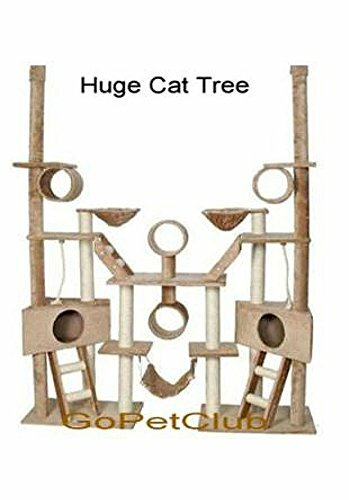 It’s 51 inches tall and made to tuck nicely into a corner. Though it should be noted you don’t have to place it in a corner if you don’t want to. 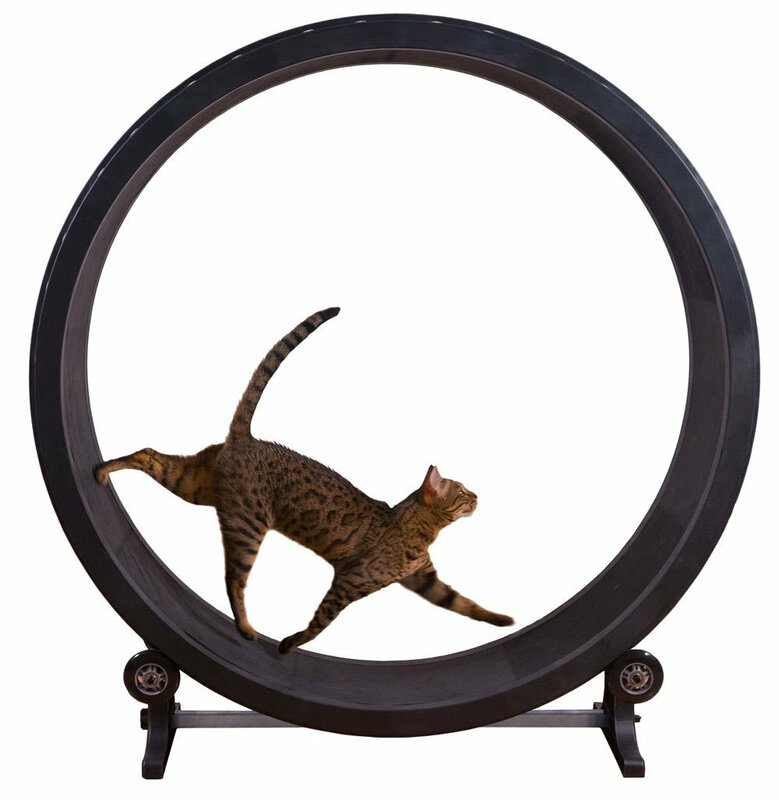 If you place this baby in front of a window your cats will love you forever. 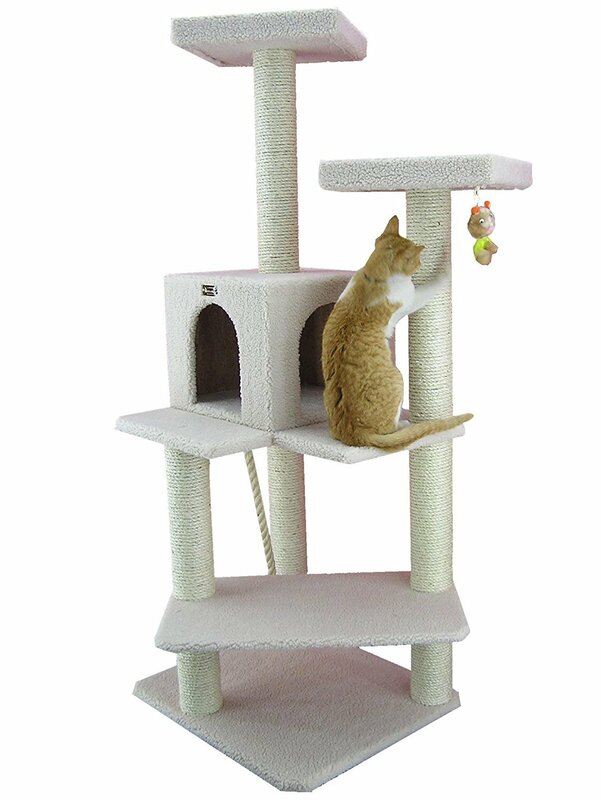 And even though it’s over 4 feet tall, because of how the platforms are placed, it won’t block your view. 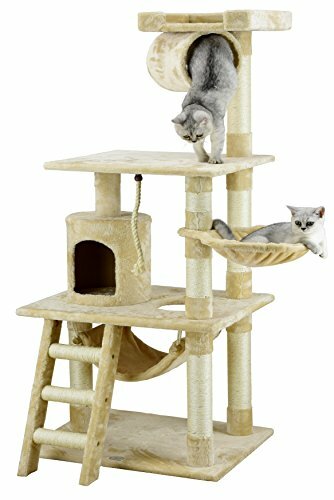 Slightly taller, measuring in at 52 inches this “Go Pet Club Cat Tree” features round platforms, two dangle toys and a square cubby with two entrances for hiding and snoozing in. 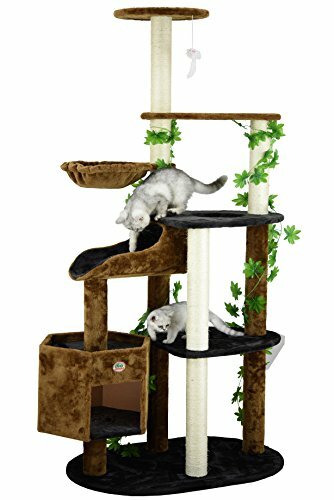 The front ladder/ramp is fully covered in the same plush faux fur as the rest of the cat tree and is excellent for climbing and stretching. 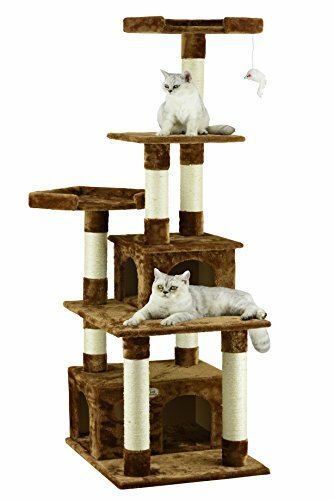 It has five (Yes 5) posts wrapped in natural sisal for lots of scratching fun. 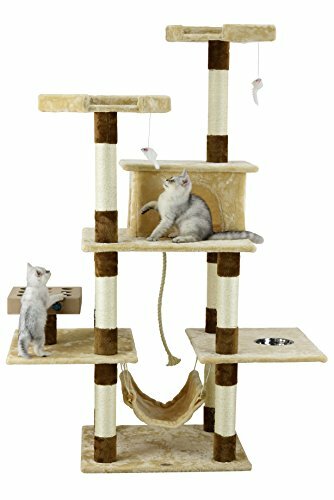 Your kitties nails will always be in good shape with this beauty of a cat tree. 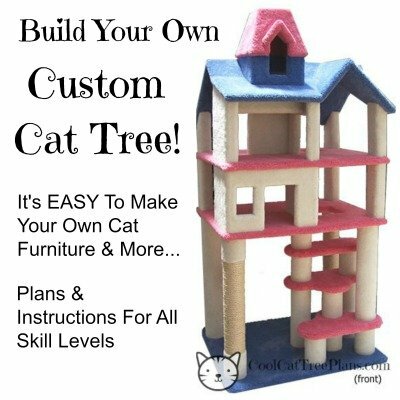 Assembly is easy with the instructions and tool provided. 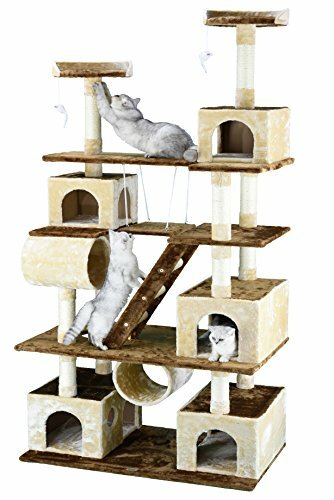 Shipping is FREE! 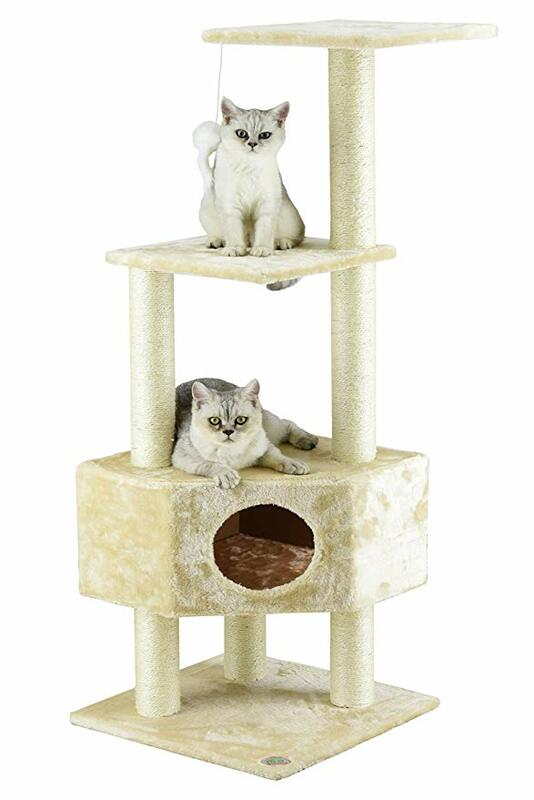 My favorite part of this “Go Pet Club Cat Tree” is the sisal wrapped ladder in the front. 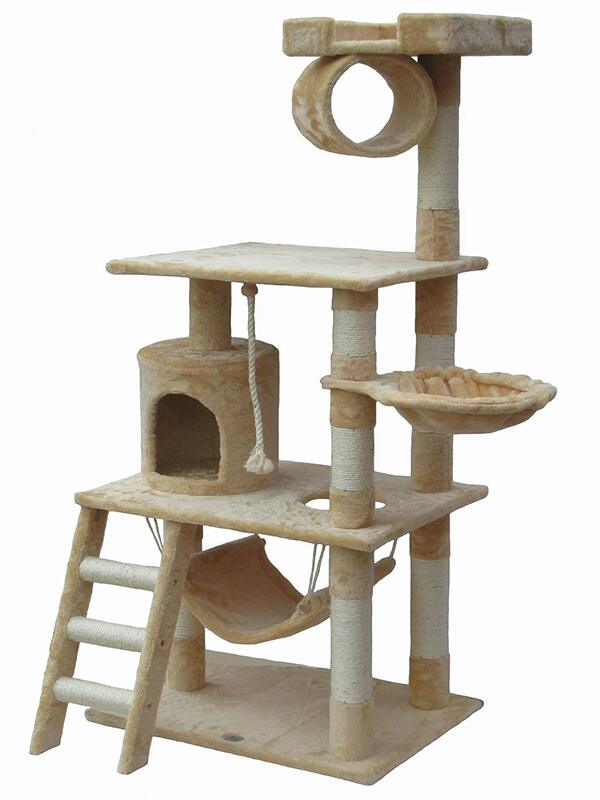 I’m sure your cat won’t need it to climb up into the wedge shaped condo but it sure makes it cute! 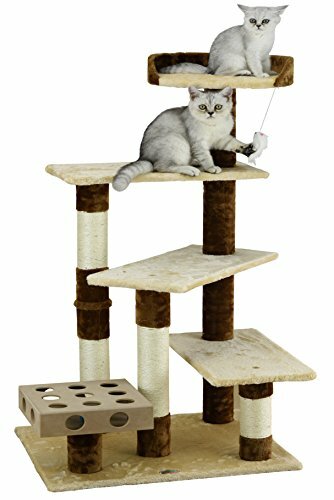 In addition to the sisal wrappings on the three ladder rungs there are five sisal wrapped posts for your kitty to hone his nails to razor sharpness on. 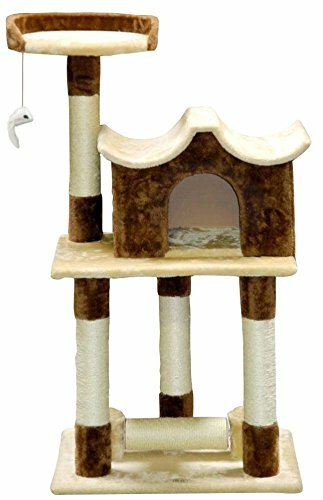 This very sturdy cat tree can tucked into a corner and still give your kitty a clear view out of his condo. 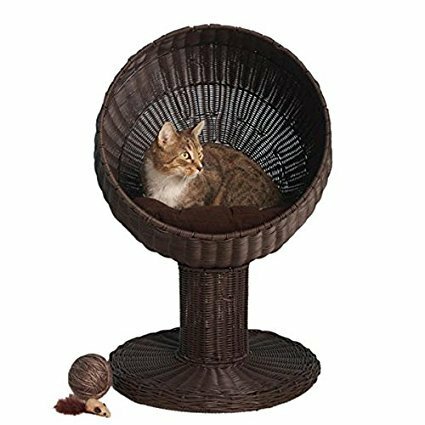 The rich brown color looks elegant in your home and hides cat hair well. 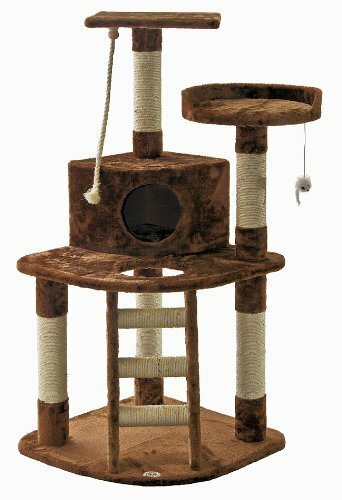 Covered in plush faux fur, this too is vegan friendly and comes with FREE SHIPPING! 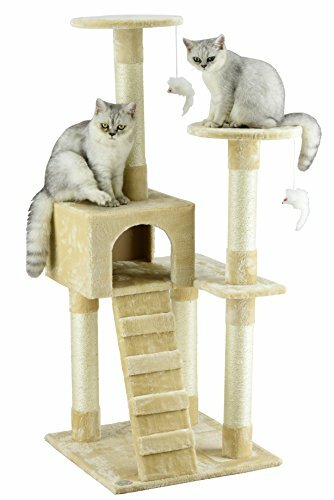 With over a THOUSAND reviews and dozens of customer photos sent in this it is obvious that this cat tree is a winner with both cats and their human slaves. 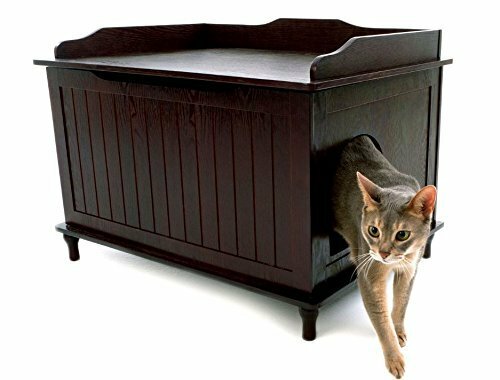 Even 14-16 pound cats enjoy the top sleeping basket with no worries, so it’s sturdy but as the condo is on the small side we recommend this particular piece of cat furniture for folks with small to medium cats. 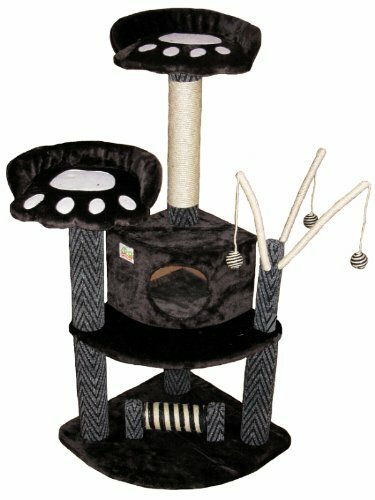 Like all the other cat trees on this page, it’s made out of processed wood, sisal and a lovely plush faux fur so it is VEGAN friendly. 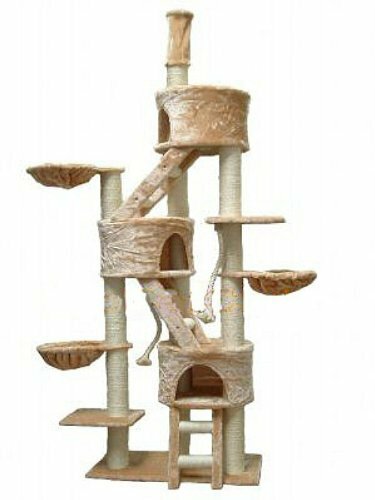 This HUGE cat tree is made from compressed wood, faux fur and sisal rope. 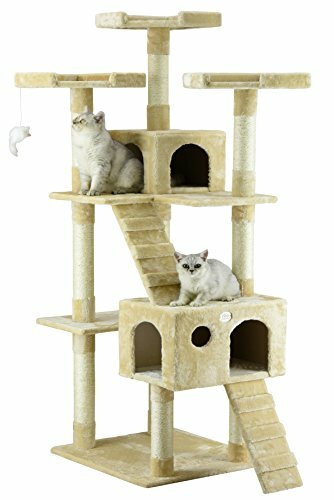 It has many cat condos for hiding and napping. 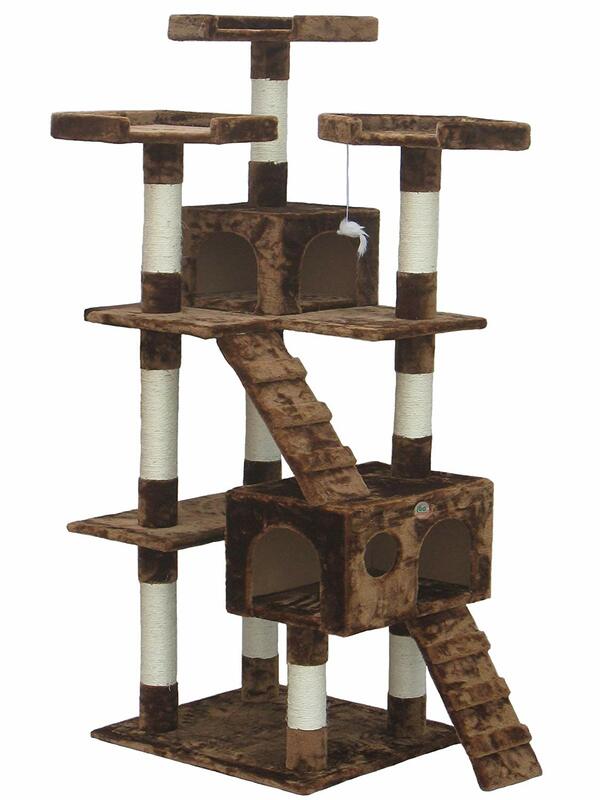 The top pole is adjustable (92 inches to 106 inches) and can be anchored to the ceiling. 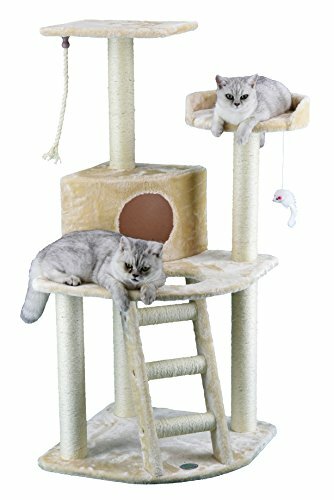 This cat tree for large cats works well for a single spoilt kitty or a house full of them. 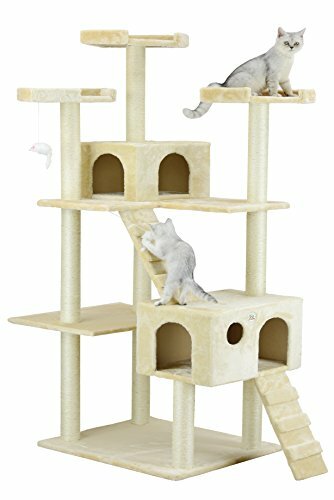 Like These Go Pet Club Cat Tree Ideas? Please Help Us And Tell Your Friends. Thanks! 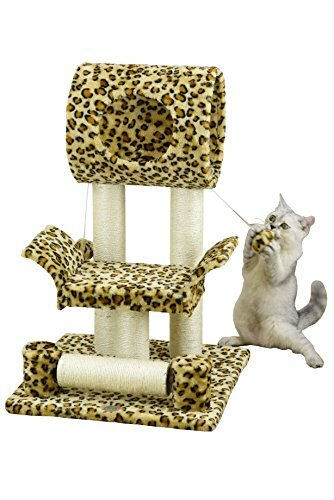 Previous Post Cat Trees Carpet Covered Works Of Art?